Vivo, after launching Air LTE and Pure XL smartphones in the US earlier this month, has introduced its Y27L handset in India. The Vivo Y27L is listed on the company website with full specifications but without any price tag. While the company has not revealed the price, a Mumbai-based claims the handset is already available via offline retail at Rs. 12,990. 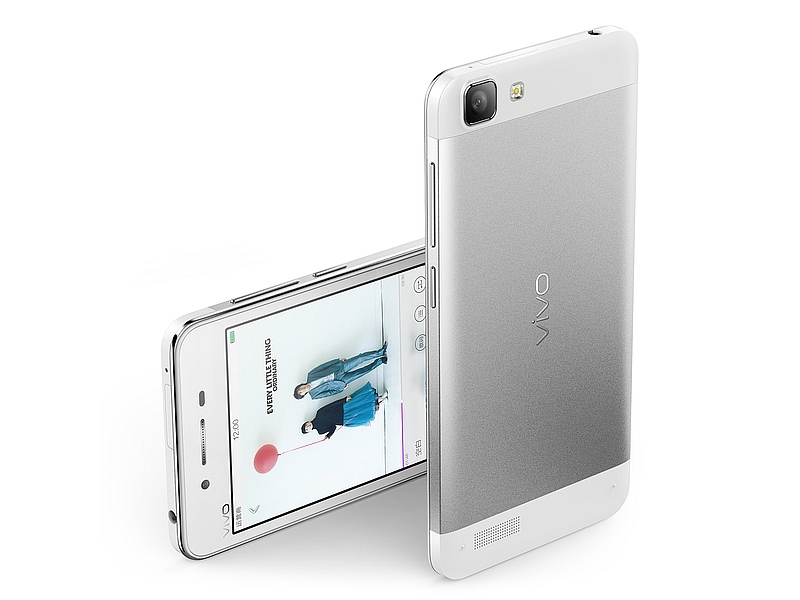 The dual-SIM dual standby supporting Vivo Y27L runs its native FunTouch OS 2.0 UI based on Android 4.4 KitKat and features a 4.7-inch HD (720×1280 pixels) resolution IPS display. It is powered by a 64-bit quad-core Qualcomm Snapdragon 410 processor clocked at 1.2GHz coupled with Adreno 306 GPU and 1GB of RAM. There is 16GB of built-in storage, which can be further expanded via a microSD card (up to 128GB). The Vivo Y27L also sports an 8-megapixel rear camera with LED flash, apart from a 5-megapixel front-facing camera. The handset additionally features Night, Panorama, Bokeh and Face Beauty modes. Vivo Y27L supports Indian 4G LTE bands (2300MHz and 1800MHz) along with GPS, Wi-Fi, Bluetooth and Micro-USB connectivity. Measuring 136.9×68.1×6.99mm, the smartphone weighs 137 grams and is backed by a 2260mAh Li-Po battery. Ambient light sensor, Proximity sensor, Gravity sensor, and E-Compass are also included. The smartphone with Magnesium alloy metal back cover features a Hi-Fi chip AK4375 for better sound experience. Vivo Y27L also brings Long Screenshot feature in which users can scroll and take screenshots of as many pages they want and share it as a single image, something Samsung showcased in its recently launched Galaxy models. Screen recording and Smart Wake are also housed inside the smartphone. Smart Wake lets users access different applications directly from the lock screen with a simple finger swipe.